The police seized two Kalashnikov rifles, ammunition magazines, 500 bullets, IS-related documents and digital materials from the suspects. 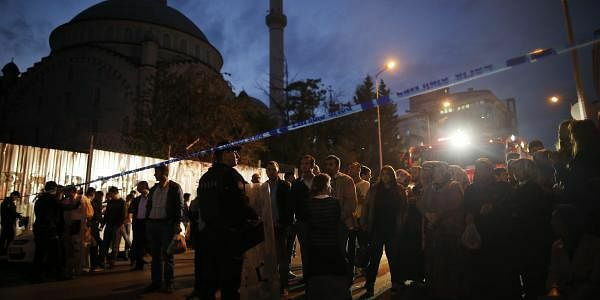 ISTANBUL: Turkish police on Thursday detained two suspected members of the Islamic State group who were allegedly planning a "sensational attack" similar to the massacre at an Istanbul nightclub on New Year's night, state run media reported. The Istanbul police raided a suspected IS cell in the Kagithane district on the European side of the city, detaining two men identified as C.C. and I.D. who are said to be of Uzbek origin, the news agency Anadolu said. The two "were readying for a sensational attack like the one" at the Reina night club that killed 39 people, mainly foreigners, and was claimed by IS jihadists, it said. Police seized two Kalashnikov rifles, ammunition magazines, 500 bullets, IS-related documents and digital materials. The suspected attacker of the Reina club, Abdulgadir Masharipov, an Uzbek national, was captured on January 16 in an Istanbul neighbourhood after more than two weeks on the run. He is currently under arrest. Commentators had said that the capture of Masharipov and his interrogation would provide the authorities with valuable intelligence on IS cells in the city.